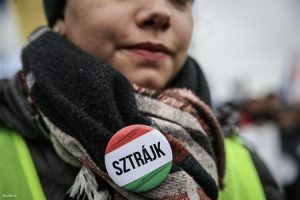 Saturday afternoon, the series of demonstrations against the Overtime Act continued in Budapest and numerous countryside locations. 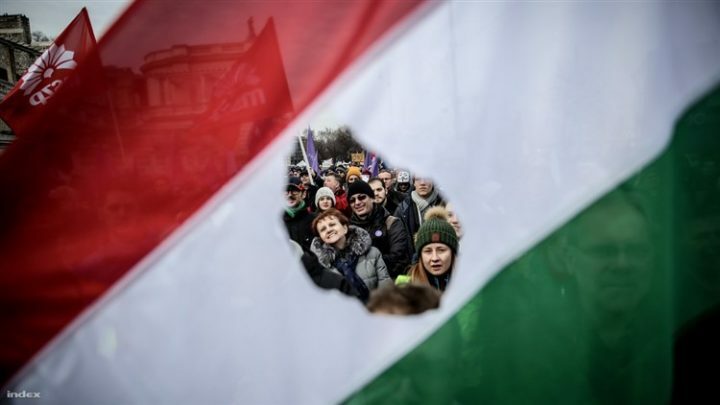 There were demonstrations or roadblocks in Miskolc, Tatabánya, Debrecen, Sopron, and many other places. 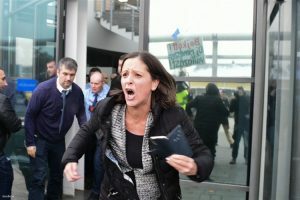 The organisation behind the countrywide protests is the National Strike-preparation and Demonstration Organising Committee, consisting of the Hungarian Federation of Trade Unions, the Cooperation Forum of Trade Unions, and the Confederation of Unions of Professionals. Meanwhile, preparations for what this Committee hopes to be a general strike are on their way.